The world has changed dramatically since the first human beings took water from clean streams and brooks. Today, the water industry is expanding to include different varieties of water not only for human necessity, but for the varying tastes, wants, and needs of people. With increasing wealth comes increasing kinds of water, at increasing costs: sparkling water, alkaline water, flavored water, sports drinks, and perhaps the most ubiquitous of them all, bottled water. Every year, 200 billion bottles of water are consumed globally. These bottles find their way into the waste-stream: while some make it to recycling plants, some also make it to the ever-increasing interest of solid waste we saddle the planet with. The truth is that bottled water is here to stay, and is, in many ways, an indictment of our way of life. 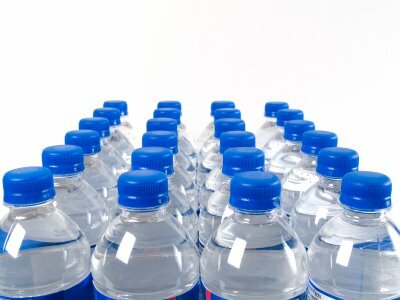 There will be many out there who write about the environmental costs of bottled water, but there are social costs as well. The energy required to purify and process bottled water come at the expense of those in the world who cannot afford it, or do not have access to the materials and the technology. While we guzzle clean water, purified through various stages of everything from carbon filtration to reverse osmosis, the rest of the world put themselves at risk of dysentery and dehydration for lack of clean water. The battleground of this century, I believe, is the water well. The continuing, conspicuous consumption of bottled water not only puts the environment at risk, but further emphasizes and underscores social problems of access and use. More than the bottle itself, the contents of it should highlight some measure of unavoidable guilt: that as long as resources and technology favors the industrialized, poorer nations – and the poor among nations – will continue to contend for scarce clean water. This Blog Action Day, water is the battleground for discussion. We can hope that beyond boycotts of bottled water, the richer nations – and the rich among nations – can find a way out of the impasse, with the bottle in the balance. Your entry seems to imply that clean water is a zero sum game, that the contents of the bottle, clean water, deprives others of clean water. But it’s not a zero-sum game; clean water from one country cannot be efficiently shipped to another. And the energy used to manufacture bottles, to filter and bottle the water, would not suddenly become available to those countries if weathy nations suddenly stopped bottling water. I would suggest that the focus should be on how poor countries can gain access to clean water, not why we should feel guilty that we have convenient access to clean water.